Established in 1991, Fire Hosetech is the UK's leading fire hose maintenance company offering fully contracted testing, maintenance & repair services for lay-flat hose and hose-reel, supplying hose equipment world wide. Around 70% of all the UK's Fire & Rescue Authorities as well as many industrial brigades rely on Fire Hosetech to audit, test, repair and maintain their hoses in strict accordance with BS 6391 2009. Combined with these long-established roles, FHT have recently established a division to carry out testing and maintenance services on high and low-pressure air-bags, PFD’s, inflatable life jackets, hose inflation kits as well as supplying new equipment if required. Although new to FHT, the experienced team running the division mean they have already made a significant impact in the UK market. Bespoke fire hose management system including asset management features. 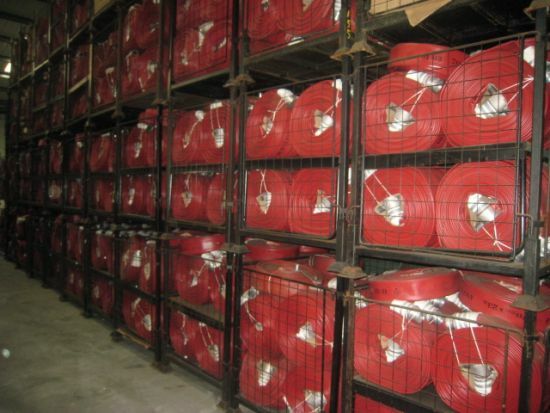 Fire Hosetech has recently acquired the established brand Stenor Merlin, used worldwide to repair layflat hose.